When Valve announced they would be making a controller people went a little crazy. The firm spun up their PR magic machine in ways that could make Apple blush, positioning the controller as the grand finale in a three-part product push. 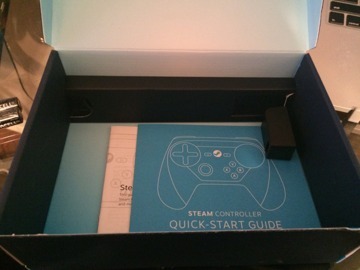 The plan was to launch SteamOS on day one, release Steam Boxes on day two and finish off with the debut Steam Controller on day three. Like an alternative-universe-game-platform-holding Billy Ocean, they really wanted to get games out your monitor and into your car TV, and day three has arrived. Not only was every gamer's favorite company making new toys, the Steam Controller itself was wildly different from its contemporaries. No analog sticks, haptic feedback, touch screen in the middle, nonstandard buttons and placement, and two very large touch pads. It wasn't pretty, but it had pizzazz. The goal was to create an input device that would allow you to play all your favorite keyboard and mouse centric games, along with standard controller supported games, comfortably on your couch. But how do you make an input device that works as well for Civilization V as it does for Counter Strike? Fast forward a couple of years (valve time is poised to outlive Moore's law), sprinkle in some notable hardware layoffs, add a dash of an extremely limited public beta phase and a few internal redesigns, and what we've arrived at shares a lot more in common with Sony's DualShock 4 and Microsoft's Xbox One Controller than that original design. To meet their design goals Valve spun the wheel and landed on buttons! Four standard face buttons that follow Xbox colors and layout (x, y, a, b) adorn the bottom right of the controller face, and a single depressible analog stick occupies the lower left. 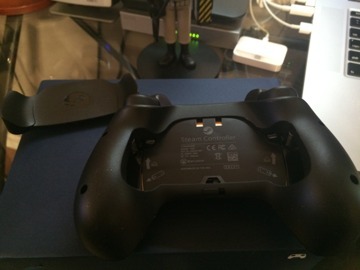 There is an arrangement of three buttons in the middle of the controller (select, steam orb, start), left and right bumpers, left and right triggers, and an additional left and right paddle on the back of each grip that mirror the 'A' and 'X' buttons by default. 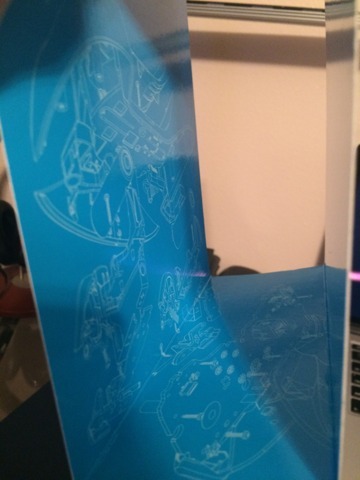 The stars of the show are two very large, circular touch pads at the top. 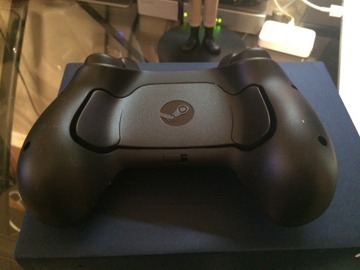 The touch pad in the top left is debossed with the shape of a standard d-pad cross, while the right pad is left completely smooth. 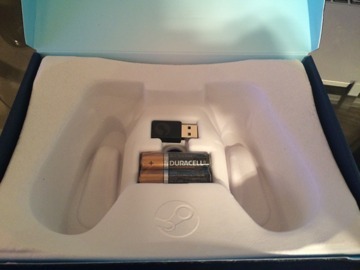 Both pads are also clickable, adding two additional physical buttons. For those keeping count that leaves us at a healthy 16 physical buttons on the controller. In software either of the pads can be configured in one of six ways: as a 4-way directional pad, as a 4 button pad (x,y,a,b on diagonals like on the face), a joystick optimized for movement or camera control, as an emulated mouse cursor, or as a scroll wheel. By implementing two large touch pads, Valve managed to stumble on a somewhat ingenious two-controllers-in-one approach with their layout. You can use it like a standard controller with your left thumb on the analog stick, using your right thumb to trade off between face buttons and top-right pad duty, or alternatively you can 'choke up' on the controller, placing both your thumbs on the two touch pads and allowing your other fingers to rest on the shoulder buttons, triggers, and paddles on the back. This is particularly useful when switching between games written for mouse and keyboard or for standard controller input. Unfortunately due to the amount of buttons and the size of the touch pads, trade-offs were made. The x, y, a, and b face buttons suffer the most, squished into the bottom right corner of the contoller's face at a reduced size. The controller itself also ends up being larger than either the DualShock 4 or the Xbox One Controller. I never found it uncomfortable to hold, but after a couple of hours with it I'm still hitting face buttons I didn't mean to. What all of this adds up to is a versatile controller with a lot of room for customization. 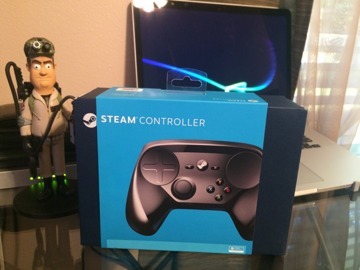 These days Valve is known for their community focused approach to delivering software as a service, and the Steam Controller is no different. They are leaning heavily on user generated controller mappings for games, making it as painless as possible to download community made control schemes or to share your own through Steam. Hardware is only as good as the software that enables it. Apple fans should be more familiar with that doctrine than most. As of this writing, the Steam Controller is not properly supported under OS X. 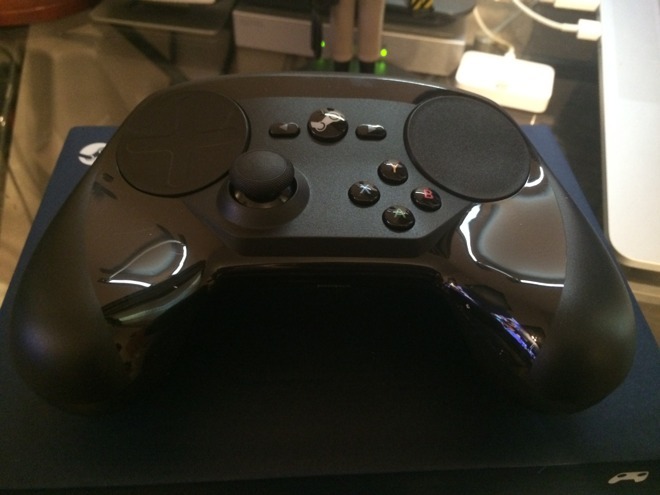 To be blunt, the Steam Controller is half implemented. Keyboard and mouse emulation are functional if you opt-in to the latest Steam client beta, but gamepad emulation is non-functioning. Valve has apologized, and promises fixes within the next few weeks, but as of right now it's impossible for us to recommend this to Mac users. What does not having gamepad emulation actually amount to? Basically it means that any games that would normally detect and use gamepads will fail to do so. 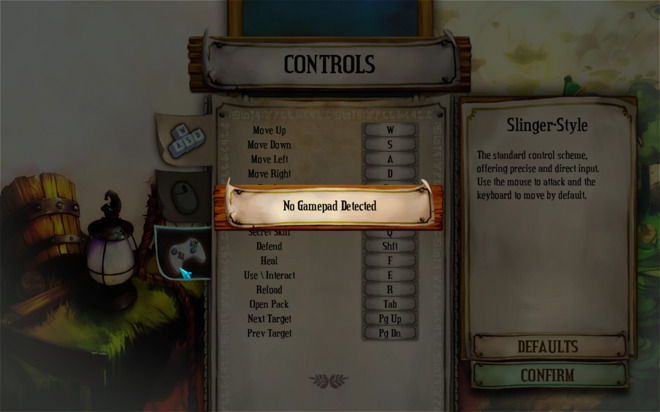 Generally this will surface in a "controller not found"' or "connect controller" message of some type in the game. 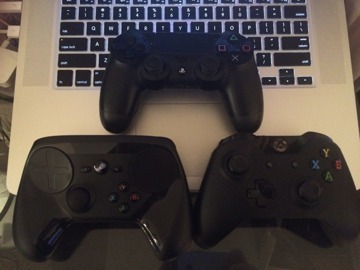 No working gamepad emulation means games won't see your steam controller as a controller. However, keyboard and mouse emulation is currently working with the latest Steam beta, so if the game supports keyboard and mouse as an input, you can try and map to that. Keep in mind, however, that is going to mean remapping your controller manually in almost every game, as well as avoiding the community and developer made mappings. If you don't mind putting in a little elbow grease, you may be able to get something functional out of the experience. 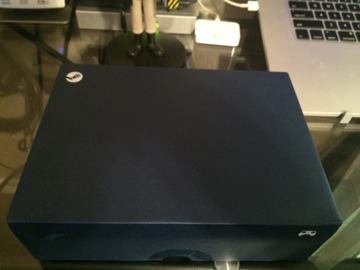 Eventually I just plugged it into my Gaming PC where everything just works. Out of the handful of games I tested (Darkest Dungeon, Crypt of the Necrodancer, Bioshock Infinite, Bastion, Rocket League) I was able to find configurations or manually map ones that I felt were pretty good. I'm not sure there was an experience in that batch of games that was compelling enough to make me choose it over a keyboard and mouse or DualShock 4 or Xbox One Controller when available. The sweet spot for this controller is undoubtedly playing a keyboard and mouse only game from your couch. Valve is making a bet that market is larger than most of us realize. So where does that leave us? Well, there's a reason this is a first look and not a full review. I've barely touched on the software side of things, and my hands-on play time has been limited to a few hours. 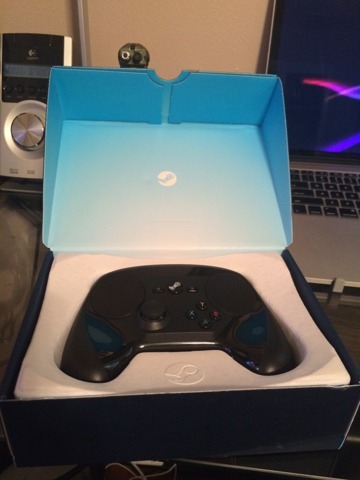 Add in the OS X issues and it becomes impossible to recommend this controller to Mac users right now. Don't buy this if your gaming machine is a Mac. Not yet, at least.